The Kaizen Auto Care team has been serving Arizona’s automotive needs for years on a mission to provide the best repairs for our customers, insurance partners, and fleet companies. 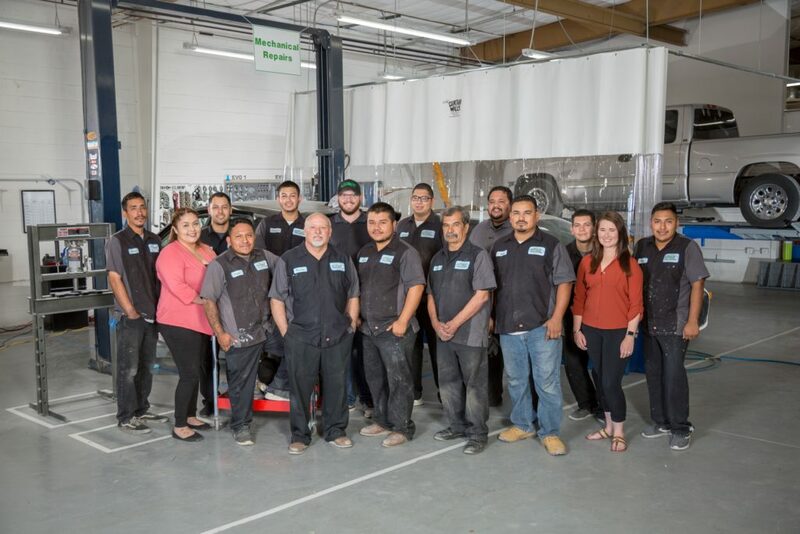 The team at Kaizen Collision Center is a close group of dedicated employees who are passionate about providing high-quality repairs and superior customer service. The meaning of the word Kaizen is to continuously improve and that is a daily goal within our company. Each day we work hard to provide customers with the highest level of auto repair services in a friendly and comfortable atmosphere. Today, Kaizen Collision Center provides expert auto repairs from multiple shops! Our goal is to provide the best auto repair services in each area we serve. While your car is being repaired, talk with one of our team members about how we can help you find a rental car or other services to keep you moving. Our goal is to minimize your time without your car in order to help you carry on your busy schedule. To work with the team of auto repair professionals at Kaizen Collision Center, give us a call! We’d love to talk about how we can help fix your car and restore it to your dream appearance!